Just before a pivotal Game 4 of the Caps-Bruins series, Dale Hunter knows how far his team has come. 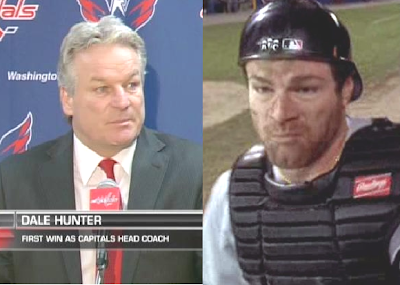 Much like David Keith's role in Major League 2, Jack Parkman, Dale Hunter knows his Capitals had some major struggles during their 2012 season. While the Indians started their turnaround with shipping Parkman out of Cleveland, the Capitals began to right their ship after they brought Hunter in. Here is to hoping the Capitals find their "Wild Thing" and their "Marbles" against the Bruins tonight.